PM360, a leading trade magazine for marketing decision makers in the pharmaceutical, biotech, and medical device industries, has named Elevate Healthcare a 2017 Pharma Choice winner. Elevate Healthcare was honored with the Gold award for Best Sales Aid for ADASUVE (loxapine) inhalation powder and two Bronze awards—one for Best Print Campaign for the MAXFRAME Multi-Axial Correction System and one for Best Agency Self-Promotion. 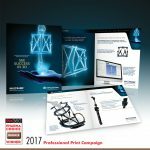 The campaign for DePuy Synthes Trauma’s MAXFRAME received a Bronze award for Best Print Campaign. Depuy Synthes is a leader in trauma, and the MAXFRAME Multi-Axial Correction System is a revolutionary fixation system with 3-D software. This new system allows surgeons to visualize their treatment plan and see projected results of a multiple-month course of treatment to correct bone deformity—providing the power to literally see success in 3 dimensions. Since 2009, the PM360 Pharma Choice awards have served as the only industry awards to recognize outstanding achievement and creativity in healthcare marketing by allowing the industry as a whole to choose the winners. All submissions are placed online where anyone in the industry can vote for their favorites based on content, format, imagination, influence on the industry, and overall quality. More than 7,000 votes were cast to decide this year’s winners. 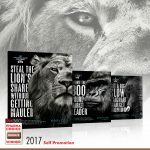 In total, 39 winners were named in 13 distinct categories: App, Consumer Website, DTC/DTP, Multichannel, Philanthropic, Professional Print Campaign, Professional Website, Sales Aid, Self-promotion, Social Media, Unbranded, Variety, and Video. A Gold, Silver, or Bronze award is given to the top three vote-getters in each category. The winning work is featured in the January 2018 issue of PM360. 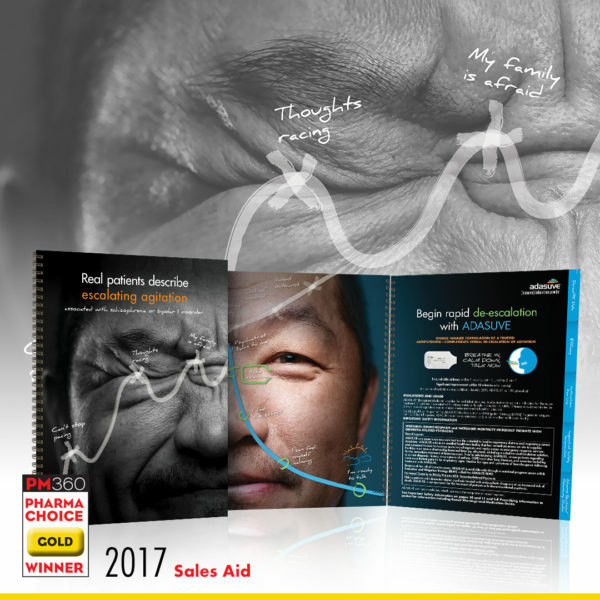 And can be viewed online at www.pm360online.com/2017-pm360-pharma-choice-award-winners.